Let’s share your passion of photography and perseverance through this professional photography competition. 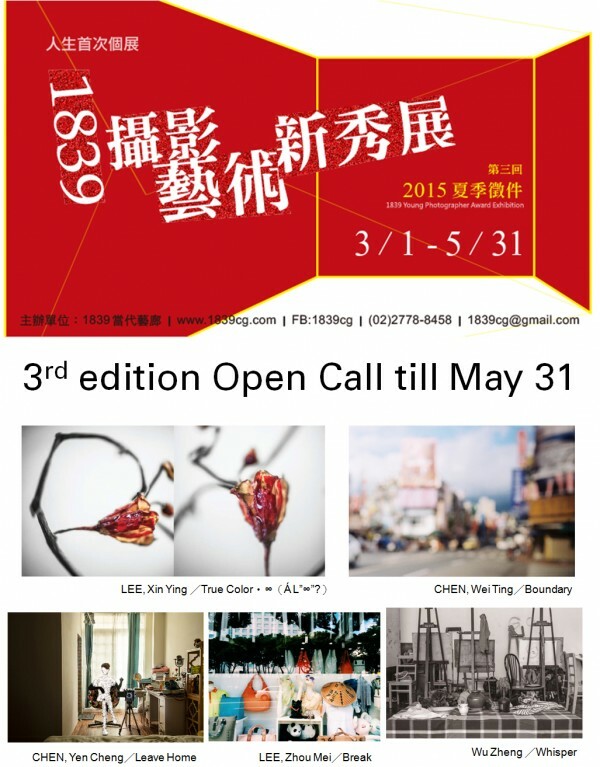 In response to the first launch of the Photography Department of Taiwan at TungFang Design institute, 1839 Contemporary Art Gallery plays as corporate social responsibility to promote the photographic art education and hunt for young talent in photography filed to have opportunity showcase their works. The first launch of 1839 Young Photographer exhibition was established in the Sumer of 2014. We continue implementation of photographic knowledge into technology education turn into as valuable and productive power to lead forward the development of photographic education!